Leonardo da Vinci: A Life in Drawing, a nationwide event, will give the widest-ever UK audience the opportunity to see the work of this extraordinary artist. 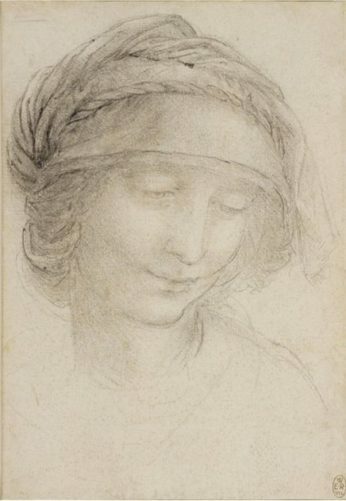 Twelve drawings, selected to reflect the full range of Leonardo’s interests – painting, sculpture, architecture, music, anatomy, engineering, cartography, geology and botany – will be shown at each venue in Belfast, Birmingham, Bristol, Cardiff, Glasgow, Leeds, Liverpool, Manchester, Sheffield, Southampton and Sunderland, with a further venue to be announced. The Ulster Museum’s exhibition will include two of Leonardo’s most famous works – The Head of St Anne, made around 1510 in preparation for his famous masterpiece The Virgin and Child with St Anne, which hangs in the Louvre, and an anatomical drawing from 1489, The Skull Sectioned.